Download Free Christmas Gift Voucher PSD. This is a free Christmas Gift Voucher PSD which is suitable for promoting your upcoming holiday season shopping sale. You can also use this gift voucher template for any type of other business and services such as e-commerce website, shopping website, beauty salon, spa center, cosmetics, boutique, fashion, shopping mall etc. With few custom change and modification this Free Gift Voucher PSD template can be used as discount card, sale card, coupon card, gift token, gift voucher, gift certificate or cash card as well. You can add your branding, product or service image, details of you offering very easily and quickly. 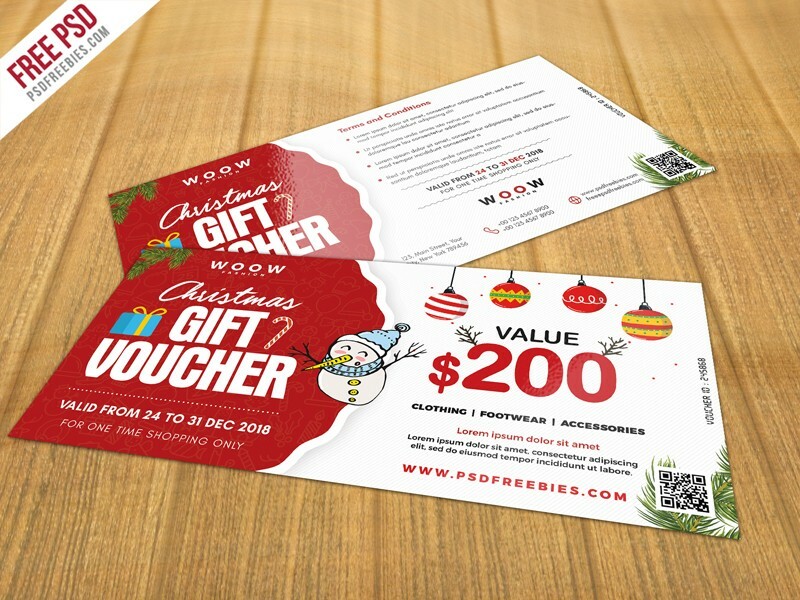 This Free Christmas Gift Voucher PSD is fully editable and customizable and it is designed using adobe photoshop. Hope you like it. Enjoy!